Handcrafted using traditional glassblowing techniques, these glasses are the perfect gift.Mosaique glasses has a simple silhouette that is precise and elegant. The understated shape of the tumblers makes their use appropriate for any and all drinking experiences: as a water or fruit juice glass, or mixed in with Baccarat clear crystal bar sets. 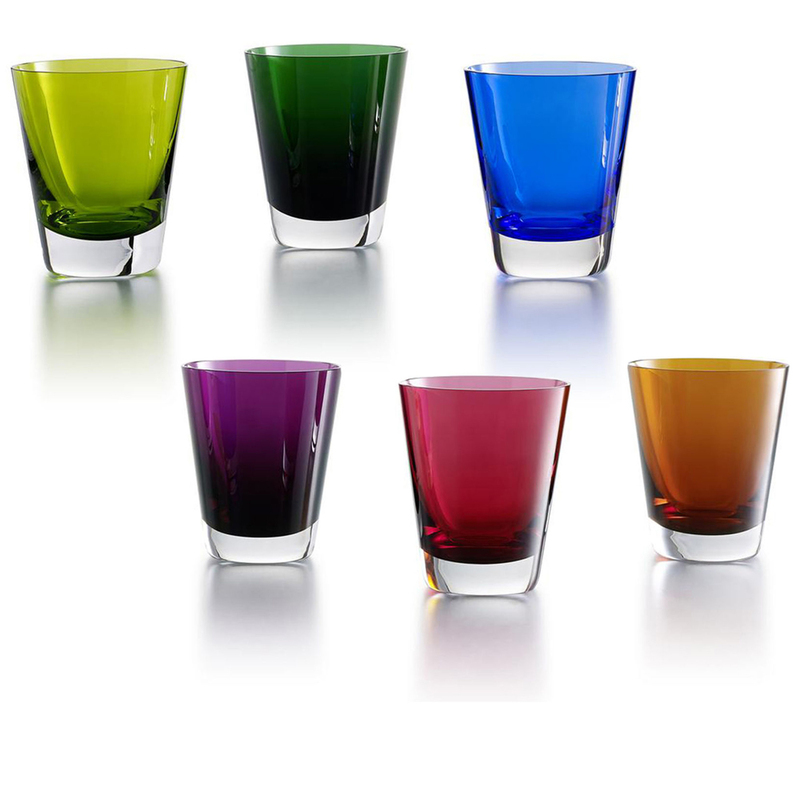 Comes as set of six glasses (orange, blue, purple, moss, green and ruby red).